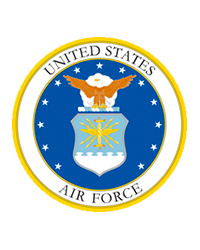 Obituary for James John Sneith | Leonard M. Pavlic Funeral Homes, Inc.
SSgt with the United States Air Force having served for 20 years and also served for 4 years in the United States Army where he was stationed in Korea. James enjoyed watching Westerns, James Bond and playing video games. In 1961 he met his wife Sheila Steele and 3 months later they married on January 13, 1962. They have been married for 56 years. Besides his wife he is survived by a son and daughter-in-law Jayme and Amy of Scenery Hill, 2 daughters September Joy and Steve of San Antonio, TX, and Misty Dawn of Charleroi; 5 grandchildren Sage, Camille, Megan, Ryan and Austin and 1 great grandchild Evie. He was preceded in death by his brother Robert Sneith. There will be no public visitation. Funeral arrangements have been entrusted to Leonard M. Pavlic Funeral Homes, Inc., Bentleyville.